Pru Parke always dreamed of living in England. 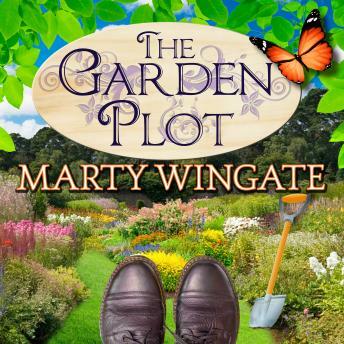 And after the Dallas native follows an impulse and moves to London, she can't imagine ever leaving-though she has yet to find a plum position as a head gardener. Now, as the sublet on her flat nears its end, the threat of forced departure looms. Determined to stay in her beloved adopted country, Pru takes small, private gardening jobs throughout the city. On one such gig in Chelsea, she makes an extraordinary find. Digging in the soil of a potting shed, Pru uncovers an ancient Roman mosaic. But enthusiasm over her discovery is soon dampened when, two days later, she finds in the same spot a man's bludgeoned corpse. As the London police swarm her work site, ever inquisitive Pru can't quite manage to distance herself from the investigation-much to the dismay of stern Detective Chief Inspector Christopher Pearse. It seems that, much as he tries, even handsome DCI Pearse can't keep Pru safe from a brutal killer who thinks she's already dug up too much.